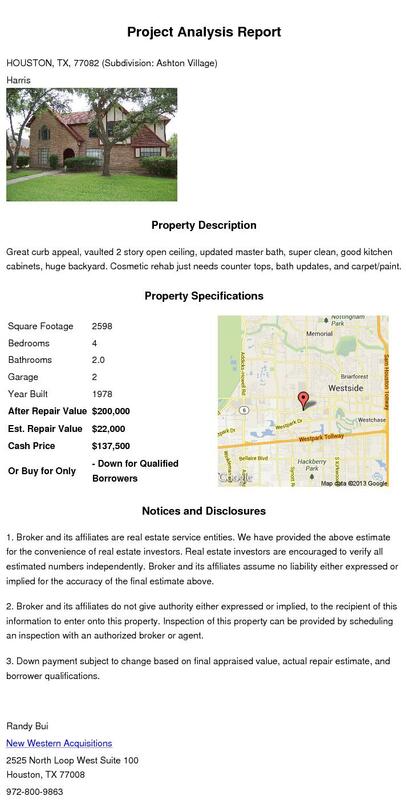 American Wholesale Property: CLEAN house in one of Houston's strongest rental areas! CLEAN house in one of Houston's strongest rental areas! Great curb appeal, vaulted 2 story open ceiling, updated master bath, super clean, good kitchen cabinets, huge backyard. Cosmetic rehab just needs counter tops, bath updates, and carpet/paint.